This Labor Day weekend was a both busy and relaxing one. I went to a friend's bachelorette party and wedding, started prepping for painting several rooms at my house [I'm probably painting as you read this], did some restaurant reviewing and antiquing, and even took a day trip down to Serenbe farm. This post, I'll just show you a few antique finds from Highland Row Antiques, all of which are affordable and would make great additions to any home or apartment. 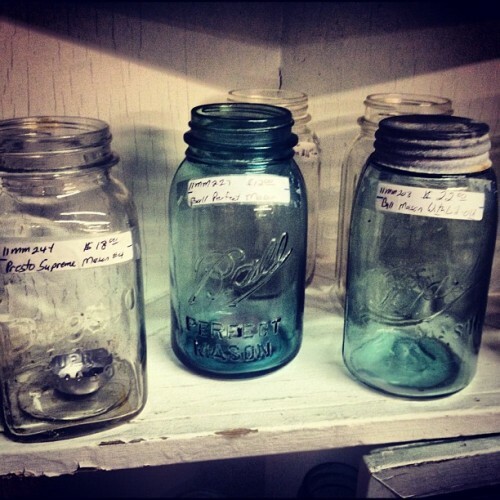 I've always had a soft spot for mason jars. These are extra special, since there's a variety of colors. They make a simple home for tea lights, and can bring warmth and light to a porch or dinner table. 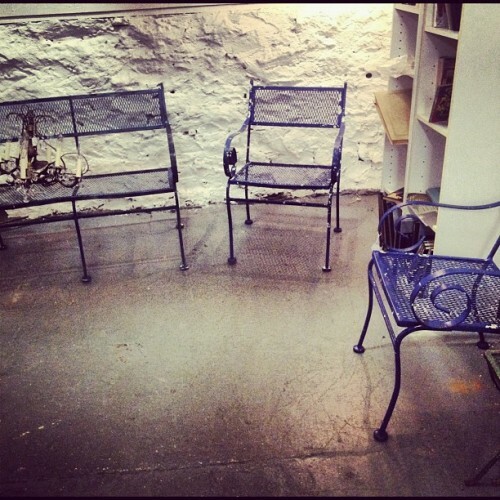 These metal garden chairs are actually really comfortable, and can easily be sprayed in any color to give them a new life. I had a little bit of deja vu when I saw this hanging light [did I maybe post about this before?]. 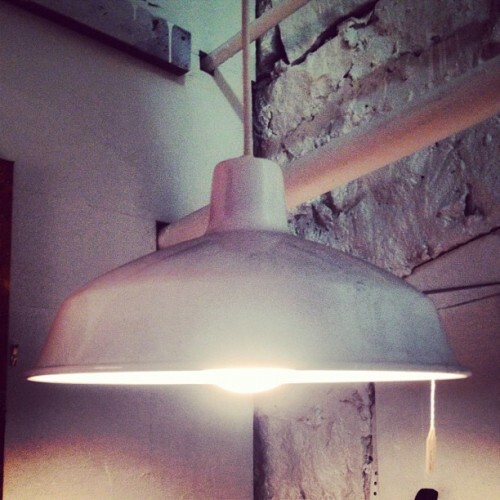 It's a metal fixture, so it has an industrial look, but this is softened by the warm white paint color. I would love to use this in a kitchen over an eating area, but it could also be used in a bedroom or office for some overhead accent lighting. I really need to find a good excuse to buy this vanity. It's a great little piece, and has so much character. What's even better is it's fully functional, with all the drawers working perfectly [that isn't always the case with old furniture like this]. 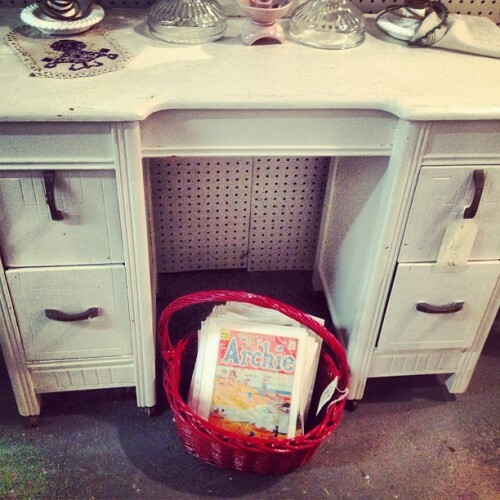 In "antiques", "art deco", "atlanta", "design", "furniture", "highland row antiques", "industrial", "lighting", "mason jars", "vanity"